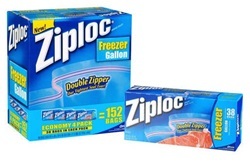 Ziploc freezer bags come in a range of sizes. With everything from pint, quart, gallon or 2 gallons, you are bound to find a convenient size for your storage needs. All sizes consistently top the bestsellers list. If you'd like to find out why, please be sure to read this page. Benefits that customers consistently rave about include strength, durability, reliability and the ability to create an airtight seal. These bags are ideal for freezing meats, fish, poultry, veggies, fruit, cheeses, baked items and left overs. 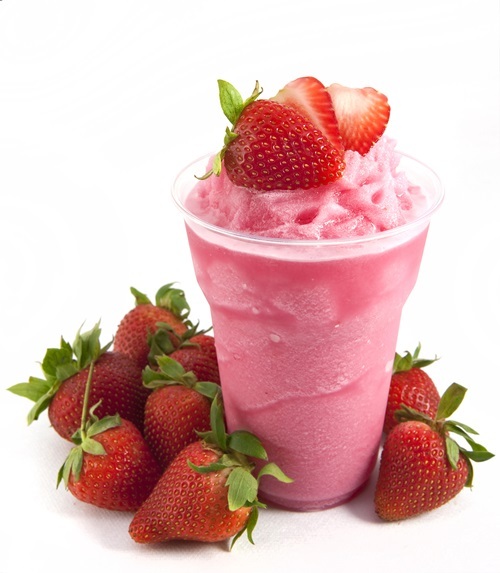 The pint-sized bags are the smallest freezer bags made by Johnson Wax under the Ziploc brand. Each bag’s dimensions is 7" x 5". Because they are heavy duty, they will definitely protect your food from freezer burn. These (literally) pint-sized bags are ideal for freezing small portions. And they conveniently come with a write-on area which makes it easy to label and date items. The Ziploc quart sized freezer bags are the next size up. They have enough capacity to store servings for an average of 2 people. The inner layer clings to the food, effectively locking out the air and preventing freezer burn. A slider closure makes it easy to open and close these bags. Plus, because each bag has a flat base, this prevents it from getting squelched. In fact, filled bags can stand upright not just in the freezer but in the fridge, pantry and kitchen cabinets, too. And these Ziploc bags are microwave-safe, too. If you don’t this, the hot air may build up and cause the bag to burst, scattering your food and creating a mess in your microwave. Plus, don’t overheat the food as this may cause the bag to melt. The gallon sized bags are excellent for freezing larger portions. So they are a great choice if you like to freeze your meats in family meal size portions. And because they hold more food, the stakes are that much higher. 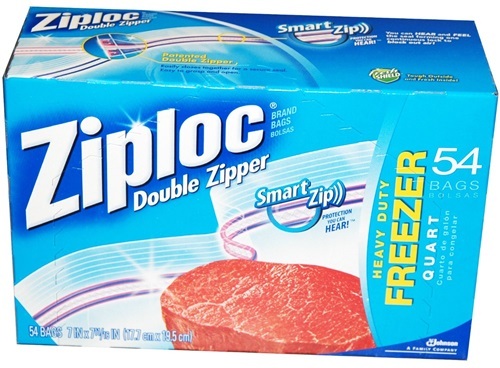 So if you don’t want to trash your food (and the money you spent on it), it’s a good idea to get a proven brand of freezer bags like Ziploc. The double zipper freezer bags provide double assurance that your food's freshness is locked in because they, well... have 2 zippers. Yet they don't cost twice as much as the single zipper ones. If you are looking for a quart-gallon combo, be sure to check this value-pack out. The 2 gallon freezer bags are the largest available on the market today. They are a great choice if you have a big family or if you do freezer cooking in order to save time. The Ziploc bags are tough enough to take a large amount of food without buckling. Or exposing the food to freezer burn. And they come with a “smart” zip so that you can hear the bag closing from edge to edge, giving you confidence that your food will be safely frozen.